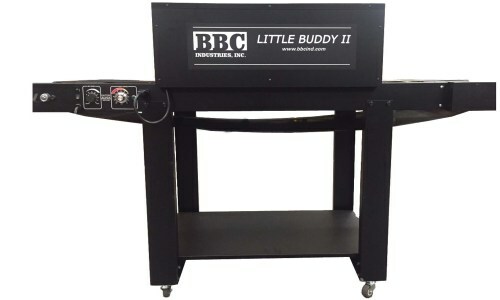 The Little Buddy II Conveyor Dryer by BBC Industries is the ideal dryer for small shops, short runs, and on-site jobs. A great finisher, featuring better exhaust and insulation to keep your shop cooler. Compact, light weight, and versatile, it can dry up to 100 shirts per hour. Units are available in 120 or 240 volts. The Little Buddy II is designed to get you on your feet and running for many years. 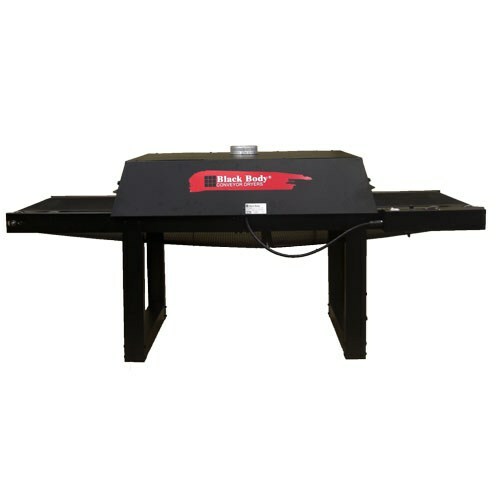 The Big Buddy II Conveyor Dryer is the best conveyor dryer for a manual shop expecting to grow. It is much more than its size and price. Unique technology, capacity, and controls put the Big Buddy II Conveyor Dryer at the top of its class.